Our every conversations from what to wear to where to go everything have been ignited by the weather isn't it. Speaking about the climate in Guwahati its quite moderate like its warm and sunny as well as you can feel cool breeze but not too hot as well not too cold. 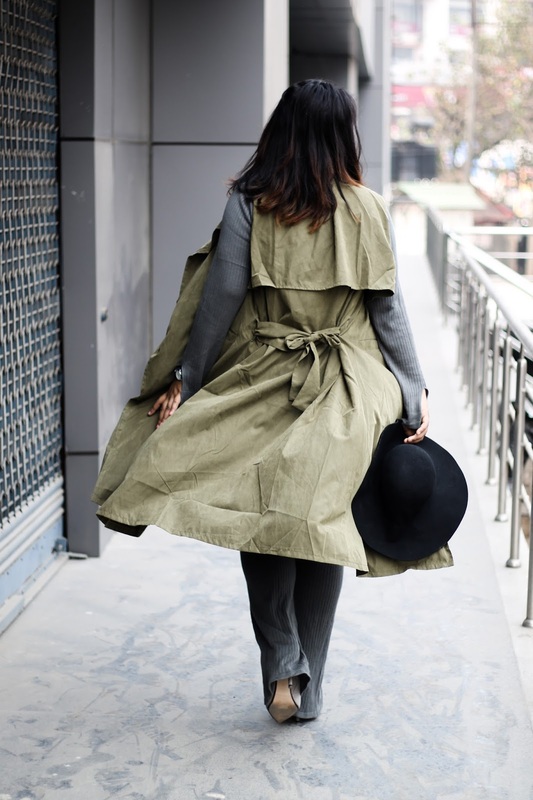 So thinking about the weather as well my new wardrobe collection of this Autumnish olive color half sleeve trench coat from Newchic i could not resist myself to give it a try. 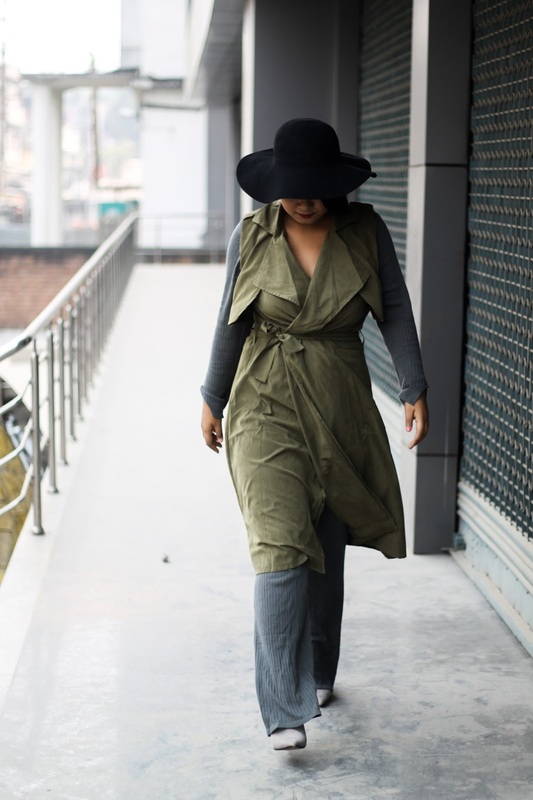 This unique casual easy going trench coat is suitable for every weather which makes it a all rounder for every season. 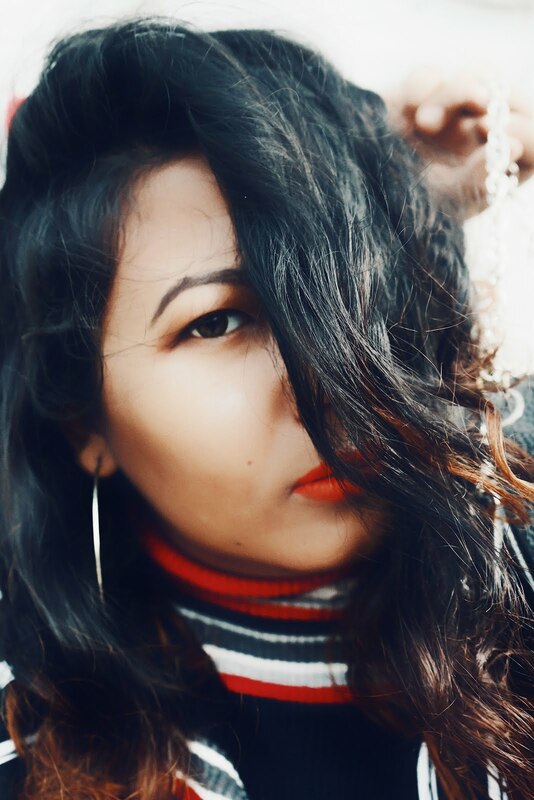 Newchic is such a brand which deals with both men and women's wear as well other accessories and trust me they are budget friendly i.e its a complete package to shop for you easily at one place. I have tried to give it a minimal look being inspired by the fashion week which is going on globally around the world right now from runaway to street styles talking about the wide leg pants i love how it makes your look so sophisticated and straight forward, and can be complemented for any body types so along with that i have added a black hat with it as well i tried something new with my hair i.e a pony too.